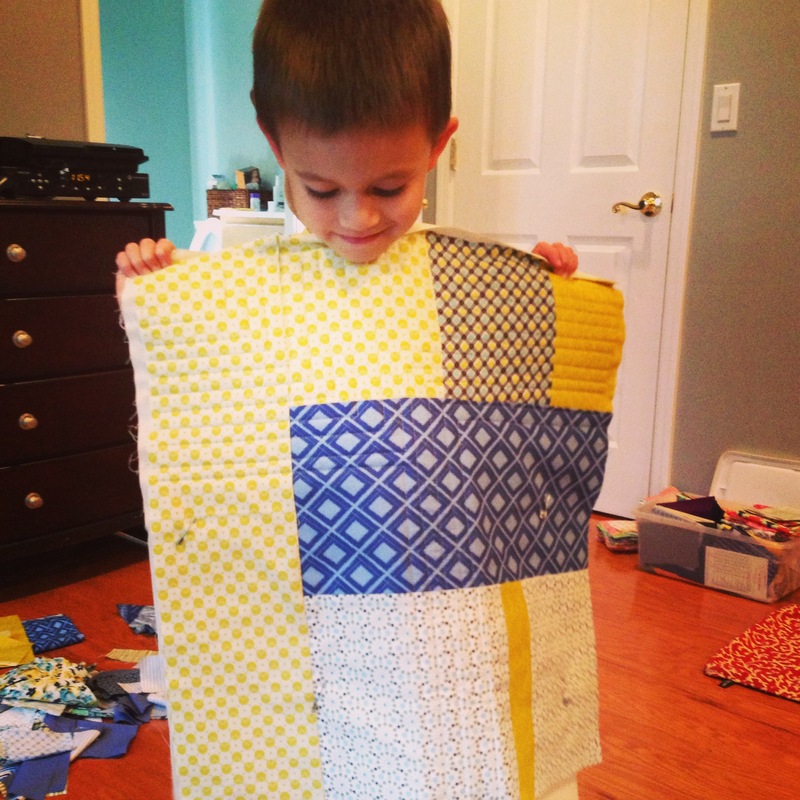 My older son has been asking for what seems like ages now to help me make a quilt. I’ve been hesitant, due to the number of sharp tools involved (this is also why I don’t drink and sew). 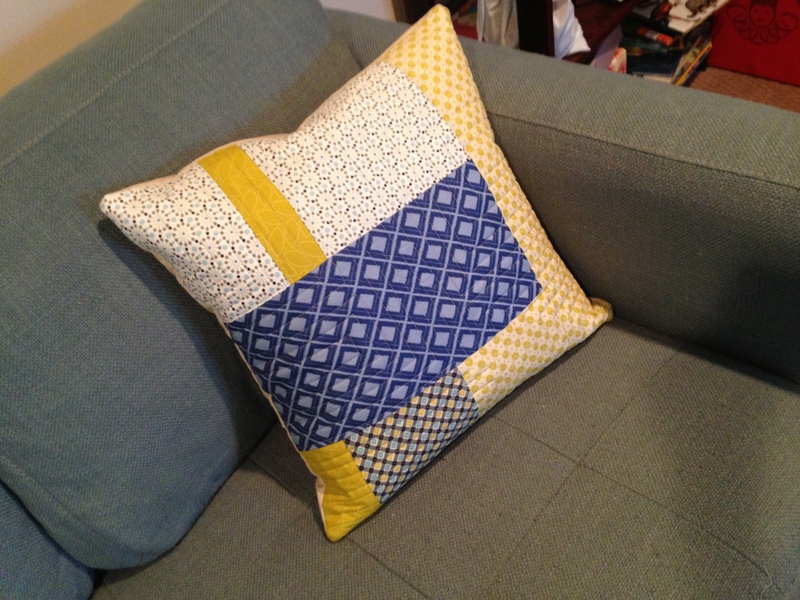 But I’ve been getting ready to finish a quilt for our own couch, and I thought that it would be fun for him to design a pillow to match. Our current pillows went with the old couch, and it’s a small enough project to hold the attention of a nearly five-year-old. So yesterday we dumped out the scraps from the quilt, and he measured the pillow form. Eighteen inches. And he went to work arranging yellow and blue. Wouldn’t you know it was almost exactly 18 inches square. Kid pays attention. Then I let him watch some TV while I quilted it. And it looks great on the blue couch! Eli, I loooovvvveeee your pillow! You should be really proud! 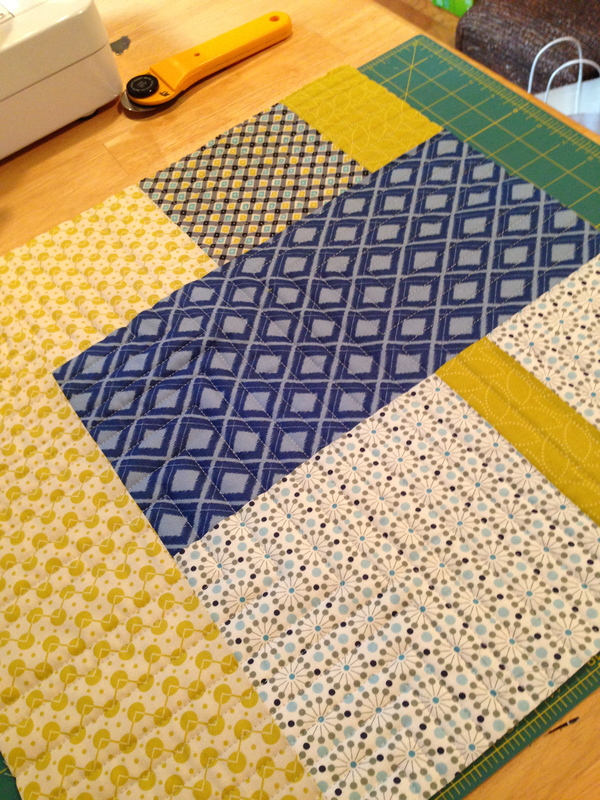 He did such a great job with the layout/colors and the quilting looks great on it! Great goods from you, man. I have take into account your stuff prior to and you are simply too wonderful.